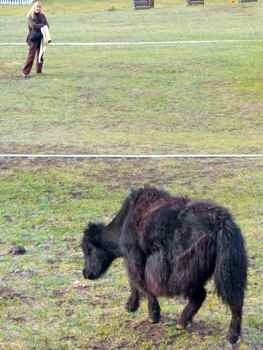 A Yak attack in Mongolia? More like slow motions shoving. Even though the yaks in camp seemed pretty peaceful, we let them have the path. There COULD have been Yaks... at one time. Not much left of this old control tower... no Yak attacks from here now. A yak attack? 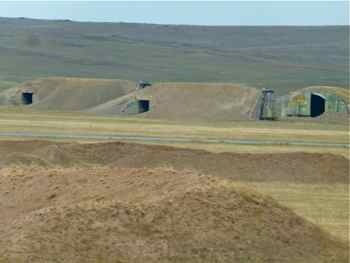 In Mongolia? You're right... it didn't really happen. We HAD gone to see the Russian Federation Air Force Museum at Monino. We've seen it called the Central Air Force Museum or the Soviet Air Force Museum. 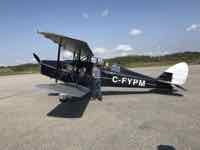 Whatever you want to call it, we did see Yaks and a whole host of Soviet antique airplanes. We had stopped in Moscow on an adventure on the TransSiberian railway. Instead of traveling all the way to Vladivostok, we chose the option that took us down through Mongolia and on to Beijing. We broke the train ride up in several places. After several days on the train with the toilets at the end of the car, we were eager for our break in Mongolia. Ready to stay in hotels with bathrooms and showers! Well... we spent the first night in Mongolia in a ger in the Terelj National Park. You know, that’s one of those round tent-like structures that nomads in that area use... you might have heard them called yurts. AND (this shouldn’t have come as a surprise)..
We now had to walk about 100 yards to the toilets and showers.... through herds of yaks and camels and horses! The idea for this little vignette popped into my head there... another of my twisted - just plane fun ideas. If you had to get up in the middle of the night? You had to wander through the yaks... going to dinner? More yaks. But there was no yak attack. 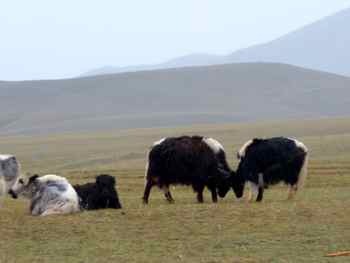 Our friend, Joe, was thrown from a yak on a previous trip, but Mark reports that all night long the yaks ignored him. And during the day we just left these grazing peacefully and tried not to get in their way. 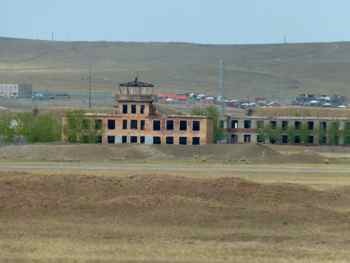 There was evidence of the aircraft type of Yaks as we entered Mongolia... but all we saw were old bunkers and the derelict tower of a former Russian air base.... no yak attack there either. Yak attack in Mongolia... I just couldn't resist... it was just plane fun. 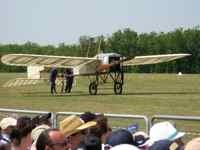 If you're amused by some antique airplane... or any aircraft you see, why not send us a photo or description? It can be a crazy idea that comes to you like this... It's all just plane fun. You can have some too... click below to go back to the Just Plane Fun page for an easy to use submission form.